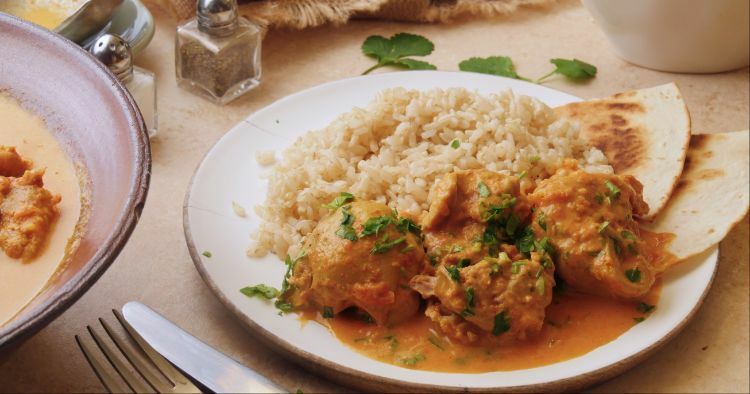 Indian cuisine has a knack for taking a basic protein like chicken, and giving it an incredibly addictive taste. The secret is in the spices that come together to balance each other, and provide a backbone of flavor for the dish. Indian dishes can often be time-consuming to prepare, but this Instant Pot recipe makes it easy and fast to create this mildly spicy favorite. The ingredients in this dish are ones you likely already have in your pantry. Garam masala is a combination of spices — usually black pepper, cinnamon, cardamom, cloves, coriander, cumin, and nutmeg — that is commonly used in Indian cooking. You can make your own by toasting whole spices and grinding them in a spice grinder, or you can pick up a pre-made jar in the supermarket's spice section. In the Instant Pot, stir together the tomatoes, garlic, ginger, paprika, turmeric, garam masala, cumin, salt, and cayenne. Add the chicken thighs, nestling them down into the sauce. Close the lid, and turn the valve to the sealing position. Choose high pressure, and set the timer for 10 minutes. Once the cooking time is up, let the pressure release naturally for 10 minutes, and then quick release any remaining pressure. 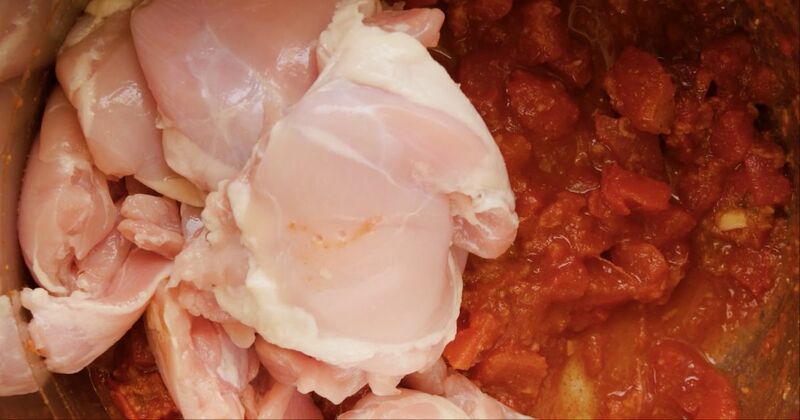 Remove the chicken from the pot, transferring it to a bowl or plate. Using an immersion blender, puree the sauce. You can also do this in batches with a countertop blender. Stir in the butter and coconut milk until the butter has melted. Return the chicken to the sauce, and serve immediately, garnished with cilantro.